Leo Messi has scored 8 goals in the Champions League this season. Tottenham Hotspur boss Mauricio Pochettino insists that Spanish giants FC Barcelona, led by 'genius' Lionel Messi, are the favorites to lift the Champions League trophy this season. Lionel Messi, who led the Blaugrana into the quarterfinals of the Champions League in a 5-1 win against Lyon last week by scoring a brace and setting up another two, is currently the joint top-scorer in the UCL alongside Bayern Munich's sharpshooter Robert Lewandowski. The five-time Ballon d'Or winner has been in a sensational form this season, having found the back of the net 29 times in the La Liga and is leading the race for the European Golden Boot. Continuing his customary form from the past decade or so, the 31-year-old has scored 39 goals and set up another 21 in the 37 appearances he has made so far this season. Pochettino's Spurs, along with Manchester City, Liverpool, and Manchester United have all qualified for the quarter-finals. This season, no club from the Premier League has been knocked out of the Champions League so far. 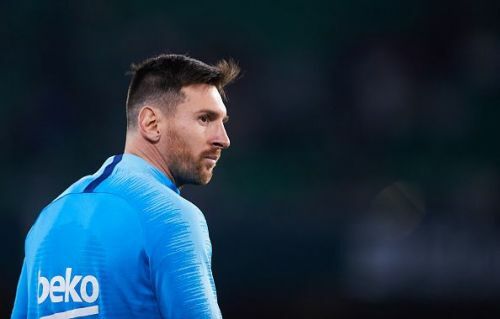 Amongst the remaining teams which include Pep Guardiola's Man City, Cristiano Ronaldo-led Juventus and last season's finalists, Liverpool, the Argentine tactician feels that the Catalan side have an edge over the others, due to the presence of his compatriot Lionel Messi. “If there's a favourite to win the Champions League, it's Barcelona,” the Spurs boss told reporters at the Mediterranean International Cup. While Lionel Messi and co. will face Manchester United in the next round, in the bid to keep their hopes of a treble alive, Pochettino's side will take on Premier League rivals Manchester City.